The Joint Admission and Matriculation Board has rescheduled the printing of the 2019/20 Unified Tertiary Matriculation Examination slips. It is now scheduled for April 4. See how to print jamb slip 2019 here. JAMB’s Head of Media and Publicity, Dr. Fabian Benjamin, disclosed this in an interview with the News Agency of Nigeria on Tuesday in Abuja. NAN reports that the printing of the examination slips was initially scheduled to begin on April 2. Benjamin said the shift in date came after 14 Computer Based Tests centres were on Monday suspended due to infractions during the board’s conduct of Mock Unified Tertiary Matriculation Examination, including an incident where JAMB staff were attacked at one of its centres. He said: “The suspension has caused some distortion in the initial arrangement and the board will have to relocate candidates who were scheduled to write in the affected centres to other suitable centres. Benjamin added that the board was putting all hands on deck to ensure that candidates sat for the examination in centres where they were safe, suitable and conducive for the exercise that would be globally accepted. NAN recalls that Prof. Ishaq Oloyede on Monday said the board had de-listed 14 CBT centres out of the 712 accredited due to infractions like technical hitch and deceit. 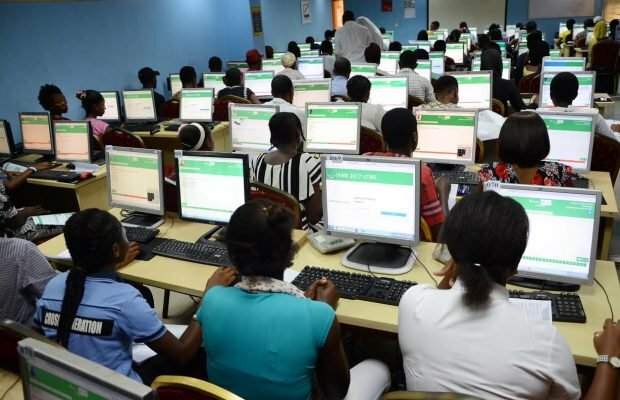 Oloyede said the 698 centres left in the operations were ready for the conduct of the UTME scheduled to hold between April 11 and 15.